What triggered a court interpreter to shoot dead his wife, who worked as a magistrate, their three children and to take his own life at their home in Montclair last week ? This is the big question facing police, and the deceased’s families and friends who are reeling from the five deaths. The bodies of Sandile Mkhize, 40, an interpreter at the Durban Magistrate’s Court, his wife, Bongekile Ntenza, 42, a magistrate at the same court, and their children; Fekeza, Thabiso and Kwezi, were found by police officers. Nothing was broken or stolen from the premises. It appeared that Ntenza took the brunt of the bullets because she tried to protect her children from Ntenza’s rage. Provincial police spokesperson, Lieutenant Colonel Thulani Zwane, said police were alerted after a relative failed to reach the family. 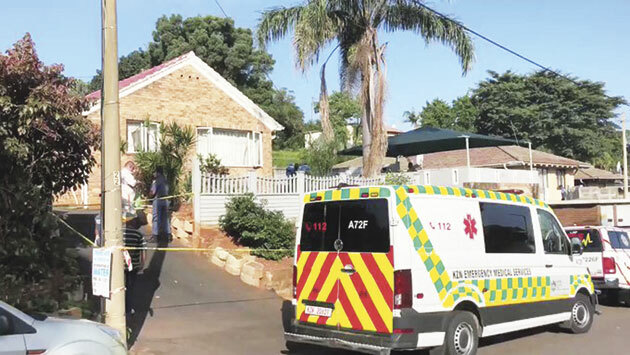 Four of the bodies were found in the home’s main bedroom and the fifth in an adjoining en suite. Acting senior Chatsworth magistrate, Nkosiyazi Ngcobo, who worked with Ntenza, said he was shocked. “Her death is a great loss for me personally as I had been trying to get her to join me at Chatsworth. She had agreed and I was waiting for approval from my managers,” Mncwabe said. He said Ntenza had two children from a previous marriage and she and Mkhize shared a daughter. It is believed the girls were in grades 9, 6 and 3. Garrith Jamieson, the operations director of Rescue Care, said it was a terrible tragedy. “This is a shock not only for the family but for us as a community. This is not a common occurrence in this area,” he said. Police are investigating four counts of murder. An inquest docket has been opened.